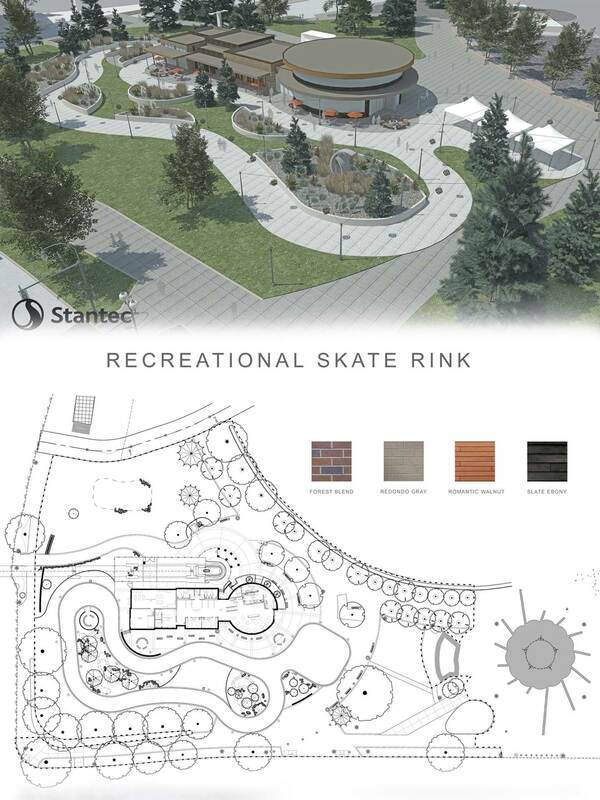 Completed in fall 2017, the new Skate Ribbon and SkyRide Facility sits on the south edge of Riverfront Park, set to the east and nestled amongst the existing London Plane trees of the Gondola Meadow. 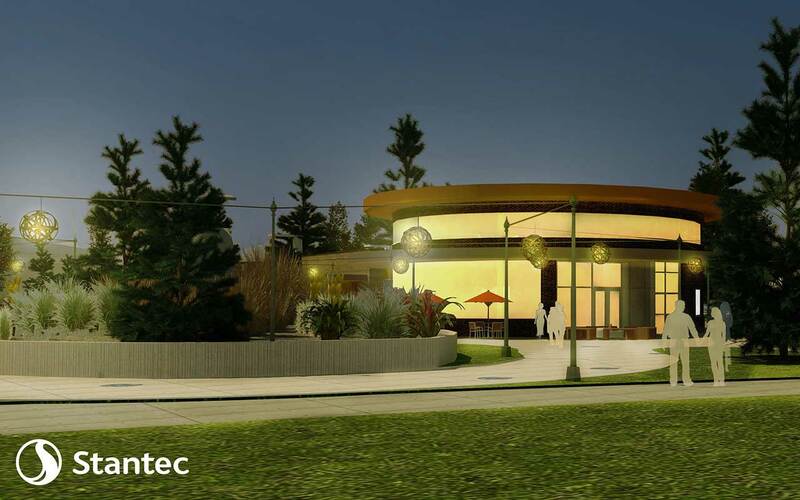 This placement creates a more enchanting, more visible recreational park experience for users, while still preserving much of the Gondola Meadow. Riverfront Park's Skate Ribbon consists of a 16' wide and 650' long pathway with a 3,500 square foot attached pond. In the wintertime, skaters can experience slight inclines and declines as they make their way around a path of ice surrounded by beautiful Northwest inspired landscape. Complementing the ribbon are large, cozy fire pits for spectators and skates alike to sit around and enjoy a cup of hot cocoa. 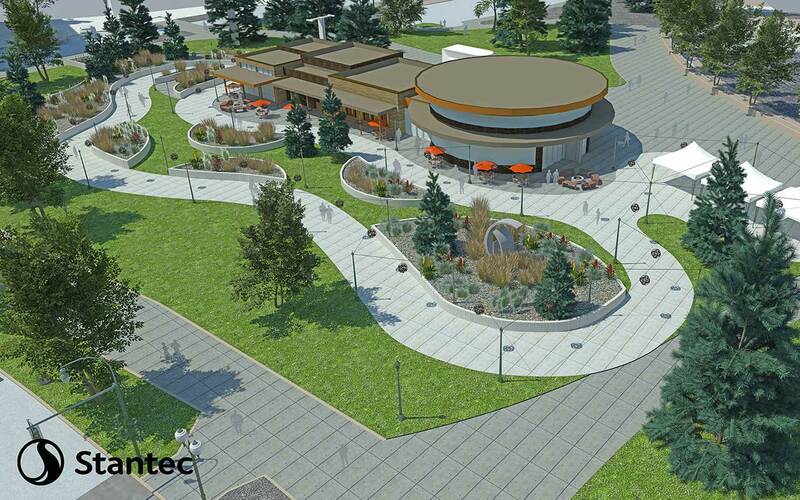 The Skate Ribbon shares a ticketing facility with the SkyRide (opening spring 2018) that includes a café with a variety of delicious food and large windowed dining area. In the warmer months, the paved ribbon transforms to host a wide variety of activities such as roller-skating, strider-biking, art walks, food truck rallies, and much more. Nearly every day this winter, The Ice will be programmed with activities like free ice skating lessons, cheap skate nights, live music, themed dress up events (even for the dogs! ), happy hours, and even Yoga on Ice! We have wonderful sponsors on board to help provide free and low-cost programs. Take a look at the Winter Activity Guide for a peek at programming. Enter your email address below to receive redevelopment news and updates.